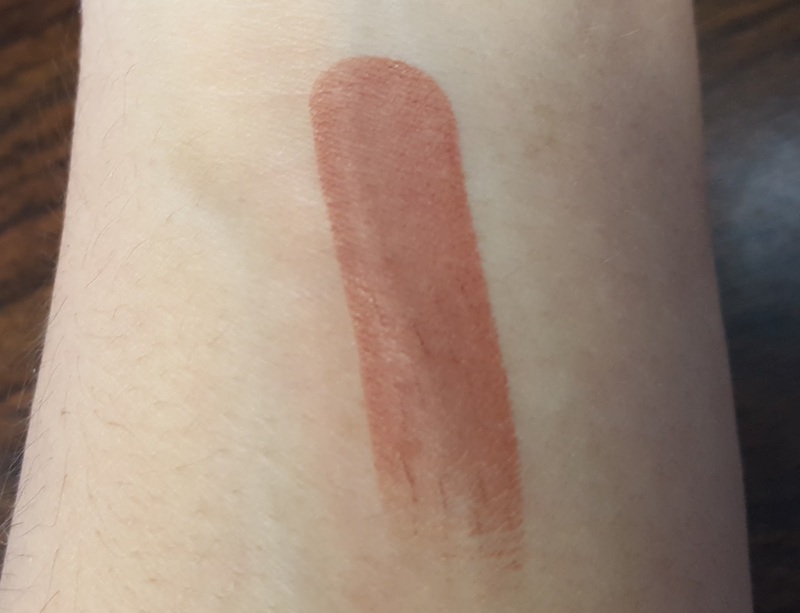 Pacifica Power of Love Natural Lipstick - Sweet One (0.07oz full size value: $10) - I've spent the past two years hunting down bold and pastel pinks for my lips not realizing that pink doesn't even suit me well. Nudes and mauve are the way to go for this girl. That's why I'm so happy to get this shade. 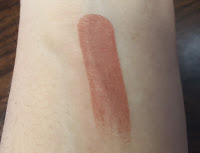 Sweet One is a deep pinky-mauve that's highly pigmented and creamy on the lips. 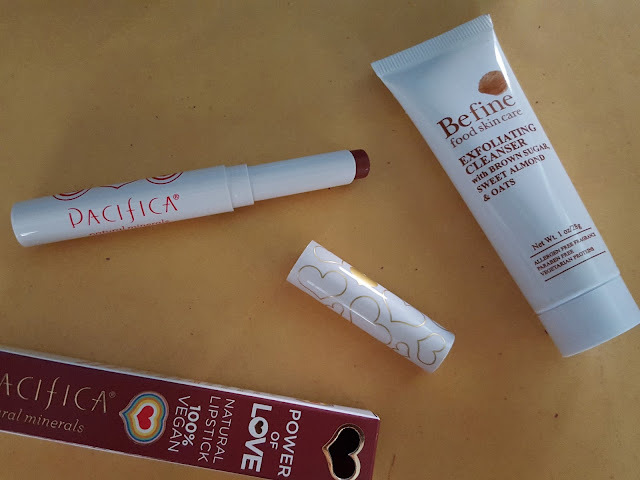 I think I've found a new favorite lipstick :) EcoBonus: the plastic tube is fully recyclable! Elizabeth Mott Thank Me Later Eye Shadow Primer (0.17oz value: $10) - Eye shadow primers are one of those things that I was always skeptical about and only recently started using when people told me that (duh) they actually do work to preserve your eye makeup. But each one I've tried is either tinted or doesn't apply smoothly. Thankfully, this one does. AND it's not tinted. AND they're based in my hometown about five miles from where I work. How did I not know this??? 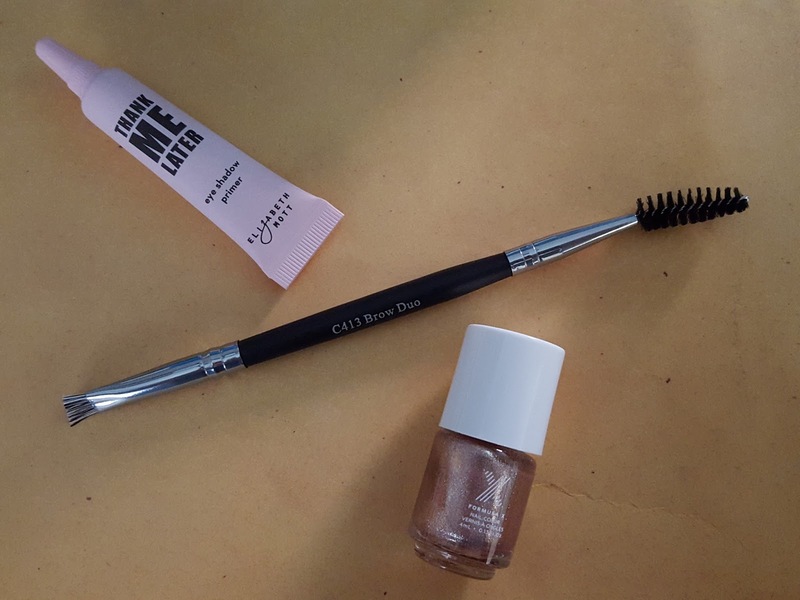 Crown Brush C413 Brow Duo Brush (Value: $3) - It wasn't until I got my makeup done for my wedding that I realized how great brow brushes were. I thought just tweezing gave them a nice enough shape, and I never felt the need to fill in my brows since they're pretty dense to begin with. But once I saw how much better they looked groomed and filled in a bit I was sold. I always wondered why people loved those brow gels so much; I think I'll pick one of those up next. Formula X Nail Polish by Sephora - Revved Up (0.13oz value: $3.40) - Yay, nail polish! I'm pretty sure I already have a rose gold somewhere in my collection, but it's such a pretty color so why not have another? I'll definitely be using this to make New Years nails. 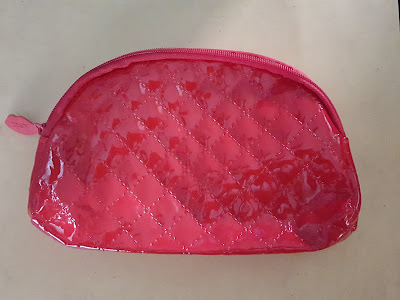 The Bag - Quilted patterns aren't my style, but the rest of the Glam Bag was so great that it doesn't even matter if I don't care for the makeup bag itself. They could have sent everything in a Ziploc bag and I'd still be happy. 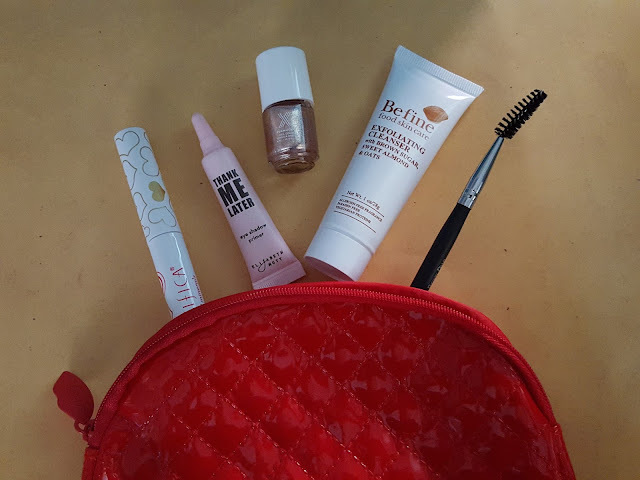 In case it wasn't already obvious, I thoroughly enjoyed this month's Ipsy offerings. For once I'll be using everything they sent my way (well, except for the bag) and may have even found a new favorite lipstick. :) Click here to get your own Ipsy glam bag. I don't think there's wait list right now so hurry up and take a spot before there's a line!